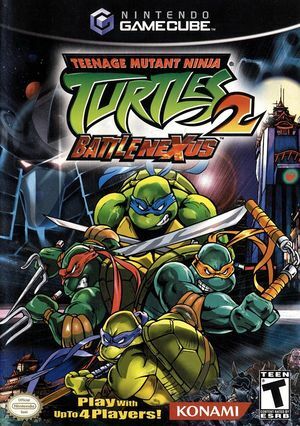 Teenage Mutant Ninja Turtles 2: Battle Nexus is a video game of the top-down beat 'em up genre released in 2004 by Konami. The game is a sequel to the previous year's TMNT game and is based on the 2003 TV series. The graph below charts the compatibility with Teenage Mutant Ninja Turtles 2: Battle Nexus since Dolphin's 2.0 release, listing revisions only where a compatibility change occurred. This page was last edited on 2 January 2019, at 07:35.